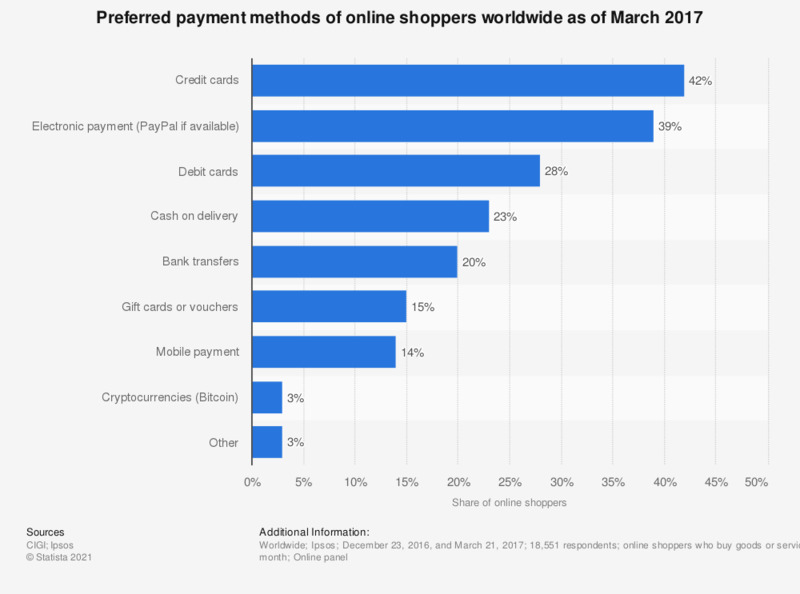 The statistic gives information on the preferred payment methods of global online shoppers as of March 2017. During the survey period, 42 percent of online shoppers worldwide stated that they preferred to pay via credit card. What is your preferred way of paying for goods and services bought online?